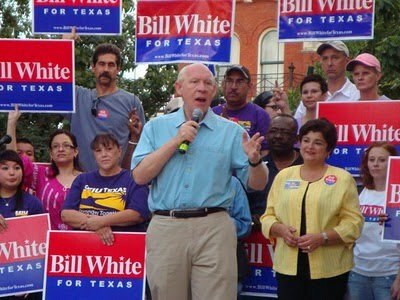 Join Bill White in person for a phone bank Tuesday @ Hqs. Join Bill White for a phonebank on Election Day (Tuesday, November 2nd) at 9:30 a.m. He will be here in person!! !We're calling people who haven't voted yet to get out to the polls! This race is so close and it's critical that we get every Bill White supporter out to the polls! For more information, call (210) 314-1096 or email volunteersa@billwhitefortexas.com. More photos from the Northwest Church of Christ "Trunk or Treat" celebration @ Braun Road & 1604, in the parking lot, one day before Hallowween. Taking a break from politics, we turn our attention to the Trunk or Treat Event @ Northwest Church of Christ on 1604 near Braun Road, to celebrate Halloween a day early. Between 400 & 500 kids (of all ages) showed up.